Reclaiming a Biblical Pattern of Worship? Last week Andrew Wilson’s latest book on the merger of eucharistic and charismatic worship landed in the mailbox and I think it presents a clear, if brief, argument for a wise way or pursuing a biblical expression of the church. Wilson, well known to those in the “Reformed” and continuationist camp (holding to more Calvinistic theology and the belief that the miraculous gifting of the Holy Spirit continues today), invites the church to go both deeper and higher in a way that sounds nearly unfeasible but is actually quite intriguing. 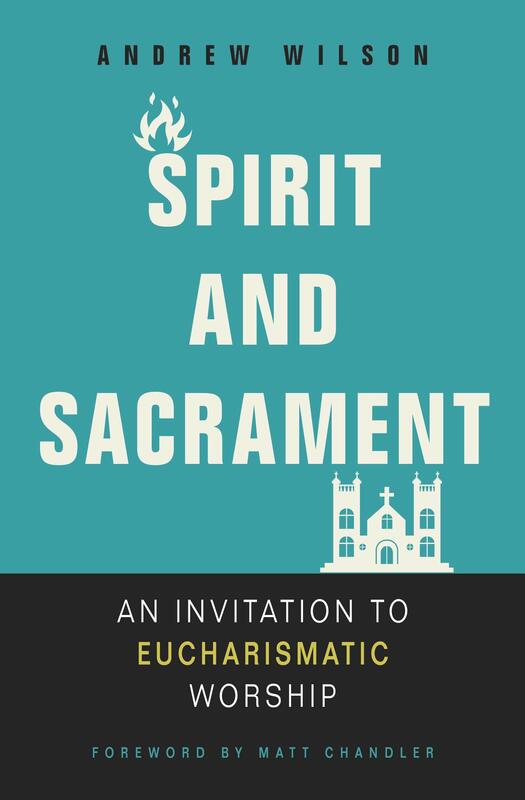 Spirit and Sacrament is a “theological vision for the church that treasures all of God’s gifts, the eucharistic and charismatic, beginning with charis (grace) and culminating in chara (joy).” Marrying the passion of the church for the sacraments (communion, baptism as examples) along with historic creeds and prayers of the church with “low church” expressions where the gifts of the Spirit are passionately pursued. Given my background and doctrinal positions, the book speaks to my desires in the life of the church but to be fair, it has enough to make each side anxious toward what could come of such a vision. Wilson warmly persuades those unlikely to call their way of doing church “liturgical” to recognize their own liturgy and inject more of the tested and biblically taught things that adorn the gospel. A call to worship, reciting a creed, call and response, the reading of Scripture (apart from the sermon), and confession etc. At the same time, he attempts to bring an embrace and fervent pursuit of supernatural gifts to places typically more reserved and cautious. While ardent cessationists (those that presume the gifts ended with the end of biblical canon or ministry of the original apostles) will not be convinced, since Wilson takes just a brief moment to present a Charismatic basis, the interaction with the church fathers’ experience of the miraculous is worthwhile. Throughout I was struck that what Wilson is presenting is a full-bodied biblical church. This is the model of the New Testament and should be a rich way forward for the church. Wilson says this way of worship is aspirational, not descriptive, and aspire toward it we should. All said I imagine this little book will become the start of an increasing call to such things and it is something that I welcome with expectancy.